Prior to that appointment, Mr. Pogue had served as Vice President, Mission Systems International and Vice President, Public Safety and Security Solutions, at General Dynamics Mission Systems, where he worked for eight years. Before General Dynamics, Chris was President of CAE Defence and Professional Services and he also had a successful 18 year career in the Canadian Air Force. Chris has a B.Sc in Physics and an M.Sc in Physics and Oceanography from the Royal Roads Military College in British Columbia, which was followed by executive education at the universities of York, Liverpool, and Harvard Business School. Mr. Pogue, would you please tell our readers about your career? This is an exciting time and I am really honored to be MDA’s President of MDA Government. This is MDA’s division that is responsible for the global growth and operations of MDA’s government lines of business for defense, Earth Observation systems, enterprise geospatial systems and space robotics. Since joining the company, one of the elements that drew me to MDA was the firm’s track record of pioneering some of the most impactful technology innovations in Canada’s history. We’ve completed and shipped the three RADARSAT Constellation Mission spacecraft built for the Canadian Space Agency; been selected as part of the preferred team for the Canadian Surface Combatant program; and launched the MDA LaunchPad, a Canada-wide program, to support small business collaboration. Please tell us about MDA. MDA is an internationally recognized leader in developing and building innovative, complex, operational systems including radar satellite systems and infrastructure, ground systems, space robotics and sensors, satellite antennas, electronics and payloads, surveillance and intelligence solutions and defense systems. For more than five decades, MDA has been a trusted partner to customers in Canadian, United States and international government and commercial sectors, providing mission-critical solutions for exploring space, understanding changes on Earth and monitoring maritime and land activity. MDA will complete its integration within the Maxar Technologies family of companies in the coming year and realize the benefits of the new corporate structure through efficiencies and the scale and breadth to address bigger opportunities than it could as an independent entity. With almost 2,000 employees across Canada, MDA is the nation’s largest space prime contractor and a leading defence contractor, which continues to grow its ecosystem of innovative Canadian partners and suppliers. Is MDA involved in the various UAV market segments? The readers probably already know MDA is best known for its work in satellite remote sensing, defence and space technology. 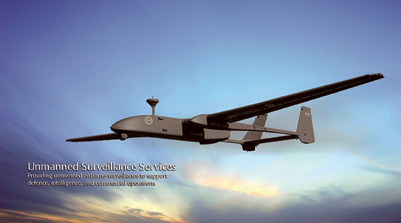 Lesser known, but equally impressive ,is the company’s Unmanned Aircraft System (UAS) surveillance services that have provided a broad range of frontline surveillance capabilities to defence users around the world since 2007. Based on the company’s track record in complex, operational system management and development, these turnkey service offerings comprise end-to-end frontline deployments that include aircraft, ground control and data exploitation tools, flight and operations personnel, training, logistics and support services. 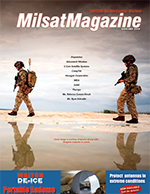 The benefits of delivering near real-time battlefield or maritime awareness to war fighters and commanders are manifold, but even today’s high-resolution optical and SAR satellites have their limitations. UAS surveillance services deliver real-time, on-demand surveillance and intelligence to frontline users for tactical operations, while collected EO/IR/SAR/SIGINT and full-motion video supports strategic decision-making at the HQ level. Together, satellites and UAS surveillance solutions work in tandem to deliver the broadest possible suite of information for situational awareness in land and maritime operations. Under the Intelligence Surveillance Target Acquisition and Reconnaissance (ISTAR) project, the Canadian Armed Forces (CAF) has selected MDA as Prime Contractor for two UAS programs. In 2013, CAF selected MDA as Prime Contractor for the Miniature Unmanned Aircraft System (MUAS), using AeroVironment Inc.’s Raven B. Each Raven B system includes two aircraft complete with full-motion video color and infrared payloads, enough batteries to conduct 12 hours of flight, one spare payload and the typical spare parts required to maintain the system for 100 operational flights. To develop a cadre of trainers and maintainers, MDA delivered the first Raven B systems to the Combat Training Centre for the Canadian Army Centre of Excellence for Unmanned Aircraft Systems at the Royal Regiment of Canadian Artillery School (RRCAS), which ultimately assumed all responsibility for MUAS training in the Canadian Army. In 2018, the Department of National Defence again selected MDA as Prime Contractor to deliver Maritime Miniature Unmanned Aircraft Systems (MMUAS), including services to support training, resource and equipment development activities, development and validation of naval tactics and new capability development. The MMUAS is the first UAS project that will see the RCN operate and maintain its own capability and provide a sustainable ship-borne, near real-time, Beyond Visual Line Of Sight (BVLOS) ISR capability, initially deployed onboard Kingston-class ships. MDA employed another AeroVironment Inc. UAS for this contract, the PUMA™ AE all-environment aircraft that is capable of both ground and water landings. It shares the same ground control station as the Raven UAS used by the Canadian Army, and has an innovative fuselage that offers operational flexibility and the ability to carry additional payloads. 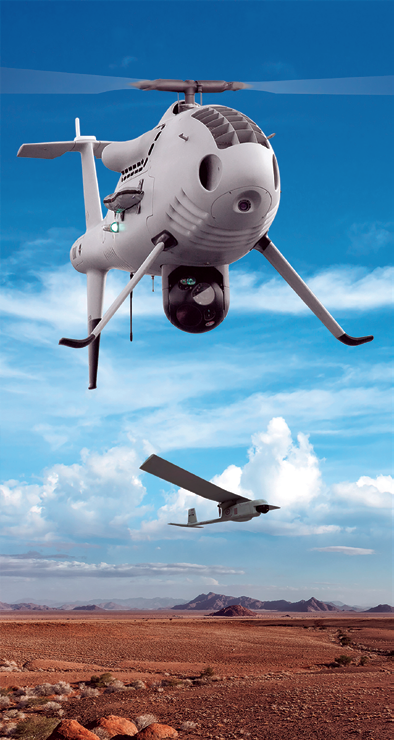 In early 2018, MDA won a contract to provide turnkey UAS surveillance for an un-named international customer. This contract uses a fleet of Schiebel CamCopter™ S-100 rotary wing unmanned aircraft to provide surveillance information, and MDA is responsible for all aspects of the service including the acquisition of all systems and required infrastructure, training, airworthiness, logistics, supply chain management, maintenance and all flight operations. MDA has become a global leader and trusted partner in UAS surveillance services for challenging, complex and hostile environments. These UAS projects successfully illustrate the effectiveness of MDA’s growth strategy to date, creating flexible UAS services to serve in different environments, and for a diverse set of mission objectives. Based on its 10-year, multi-force UAS services experience, MDA is well suited to capture more business in the coming year. Domestically, Canada’s Defence Policy Strong, Secure, Engaged outlines the Government’s intent to invest in an extensive range of new capabilities for the Canadian Armed Forces by acquiring a fleet of remotely piloted systems for the Royal Canadian Navy, the Canadian Army and the Royal Canadian Air Force, which includes remotely piloted aerial systems. 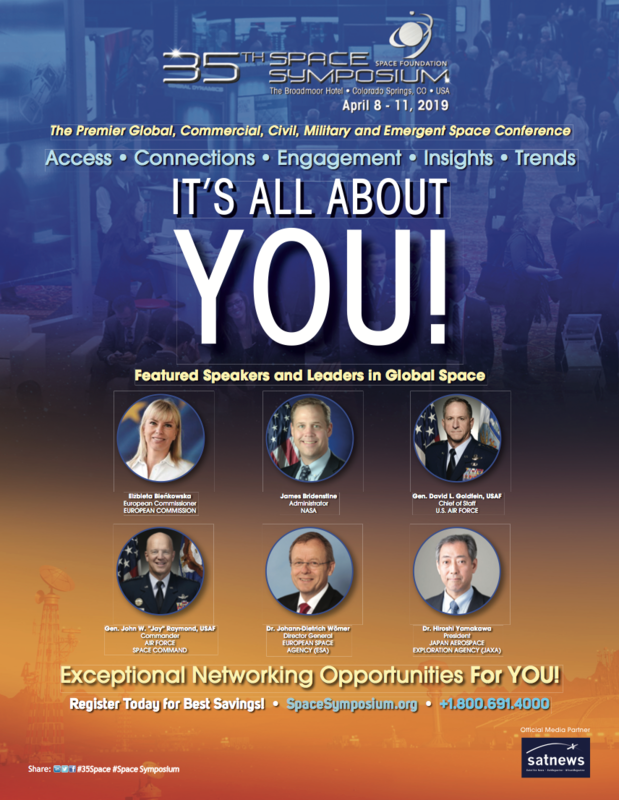 Internationally, MDA brings a broad understanding of the operations and systems across space, air, land and maritime domains that enable operational, highly reliable solutions that interoperate across domains and between allied forces. The company’s approach is to understand customer missions, determine the appropriate UAS and sensor suite and deliver turnkey support services for training, in-service support and even full in-theater operations. What are you plans for the future in the UAV area? Looking forward, MDA will continue to expand its UAS market share with systems for rapid land deployment and embarked naval vessels to provide unmatched situational awareness by addressing the need for critical intelligence, analytics and enhanced decision-making. MDA’s flexibility in delivering turnkey or mixed services includes systems, analytics, operations, maintenance, risk management, logistics, training, regulatory matters and facilities. Performance-based contracting, partial amortization for customers requiring intermittent or focused mission services and comprehensive training programs enable the company to address the widest range of customer needs in a cost-effective manner.